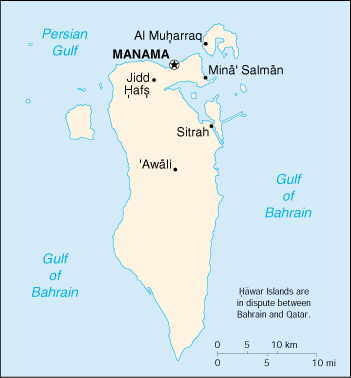 Bahrain is an archipelago consisting of 33 islands, only 5 of them inhabited. Most of the population of Bahrain is concentrated in the two principal cities, Manama and Al Muharraq. The indigenous people, representing 63% of the population, are from the Arabian Peninsula and Persia. The most numerous minorities are South and East Asians and Europeans. Archeological artifacts reveal the pre-Islamic existence of Nestorian Christianity in the archipelago as well as along the coast of southeastern Arabia. In fact, prior to Islam, Bahrain was the residence of a Nestorian Bishop, and one of its villages still bears a name which means “monastery” in Arabic.